Nobody ever asks me about the merits of toaster ovens relative to the pop-up variety. But it turns out I have an opinion on the matter. There is one key application that makes the toaster oven undeniably superior to its less capable cousin. 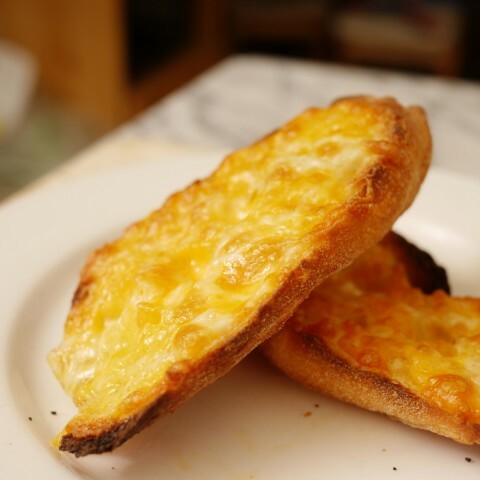 And that is toasted cheese on bread. By clicking through this site to Amazon.com , you too can be the proud owner of a proper, fully cheese-capable toaster oven. Which is a thing that I would highly recommend. There’s something that’s brilliantly, deceptively pedestrian about a quiche Lorraine. We tend to think of it as elegant, perhaps because its name is French, or perhaps because Julia Child famously made one, or perhaps because so many people — so much to my confusion — seem to find shortcrust pastry to be a challenge. But in the immortal words of The Simpsons: would a rose by any other name still smell as sweet? Not, conclude Bart and Homer, if you called it Stench Blossom. Or Crap Weed. Real saag! exclaimed my friend Allia, smiling as I put the dish on the table. Most restaurants say saag paneer, but what they mean is palak. Spinach. Saag is always mustard greens. Allia would know. Not only is her family from India, but they are avid cooks. Her aunt alone, I am informed, is responsible for untold gustatory delights. She is the sort of person who converts food haters into food enthusiasts, the sort who teaches classes on the delicate art of Indian cuisine — and sets her own price for her time.